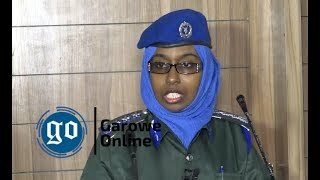 BOSASO, Puntland - A violent protest in Bosaso, the commercial city of Somalia's northeastern semi-autonomous region of Puntland has left at least 1 dead and three wounded on Wednesday, Garowe Online reports. The demonstrators, including traders, have blocked the city's main streets and clashed with the security forces as they were protesting against the shutting of Bosaso port which continues more than a week. Some of the protesters who spoke to the local Media said that the standoff at the seaport has severely affected their daily life. The port has been temporarily suspended following a protest by truck drivers. 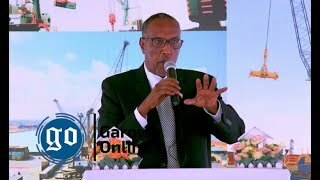 The port authorities were accused of increasing charges on the trucks transporting export goods, a blame that was denied by Puntland's Minister of Ports & Marine Transport Said Mohamed Rage. 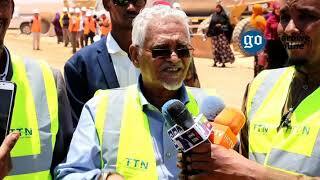 Speaking at a Press conference in Bosaso city on Monday, Rage said the deadlock began after they have charged fees on export and import good for a new quality control service introduced at the port recently. "I have no money and no food in my house. My children are starving. It's unacceptable the port to remain shut. We call for an immediate solution," said Mohamed Bile, one of the protesters. Another demonstrator, who asked not to be named said: "the port serves for the people of Somalia, it can't be shut by special persons. It should be quickly reopened. Only the civilians are suffering." The situation was reported to be calm following today's protest that turned violent. 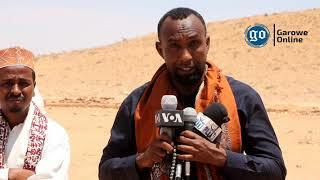 Puntland government has deployed additional forces to the areas near the port and dispersed the protesters. On the other hand, local business people have held an emergency meeting with elders in Bosaso city to discuss the situation and called on Puntland government to deal with the crises in Bari regional capital. 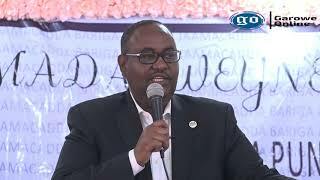 So far, Puntland officials are yet to release their own statement concerning the deadlock at Bosaso port which comes as the state President Abdiweli Mohamed Ali "Gaas" is in Mogadishu for talks. The state president has strongly condemned the assassination of the traditional elder.